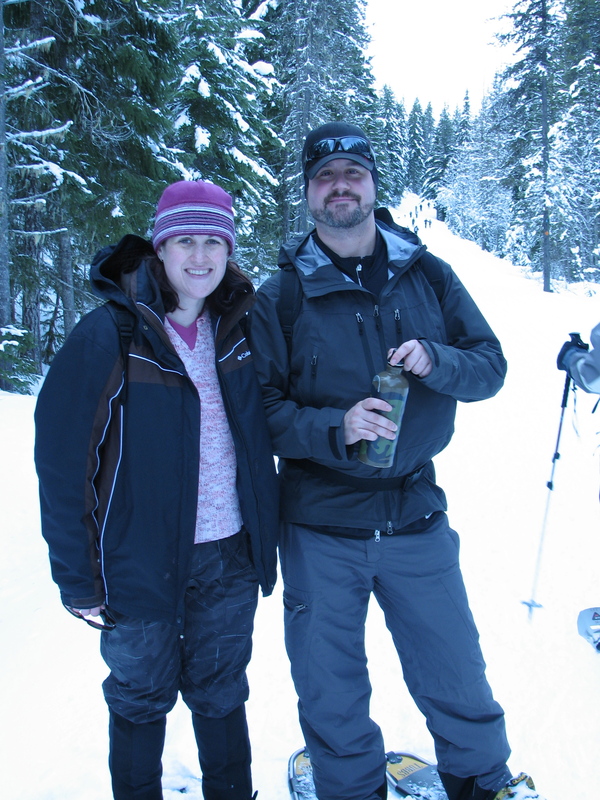 Snowshoeing! 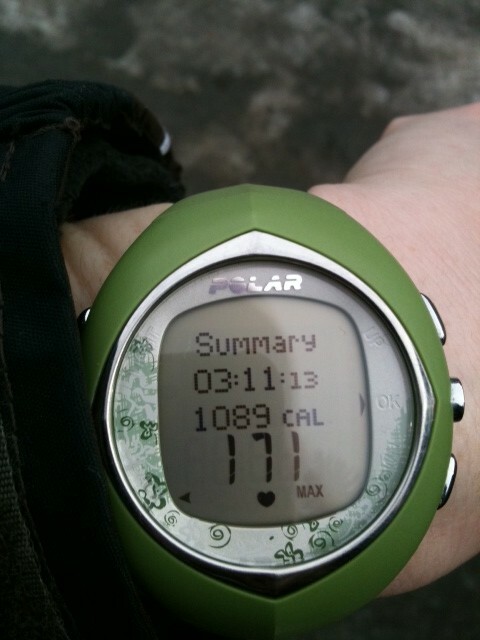 That’s how you burn 1100 calories in one morning! Michael and I woke up at 6am Saturday morning, ate breakfast and met our friends Dave, Kat and their baby Norah for a snowshoeing adventure on Mt. Hood. It was a nice, scenic drive up to Mt. Hood with sunshine and farmland. I knew that it would be packed because of the long weekend (for some people) and because this week the mountain had NICE NEW snow for the first time in about a month. We lucked out and got there early before the crowds arrived. Norah is about 8 months old and this was her first snowshoeing experience. She was such a good little girl, too! She was fussy in the parking lot but I don’t blame her–it was freezing. The wind chill was awful. But once we all suited up and headed down the trail she was loving being outdoors. Dave has the coolest carrier for her too. It even had a mesh little tent to protect her from the elements. 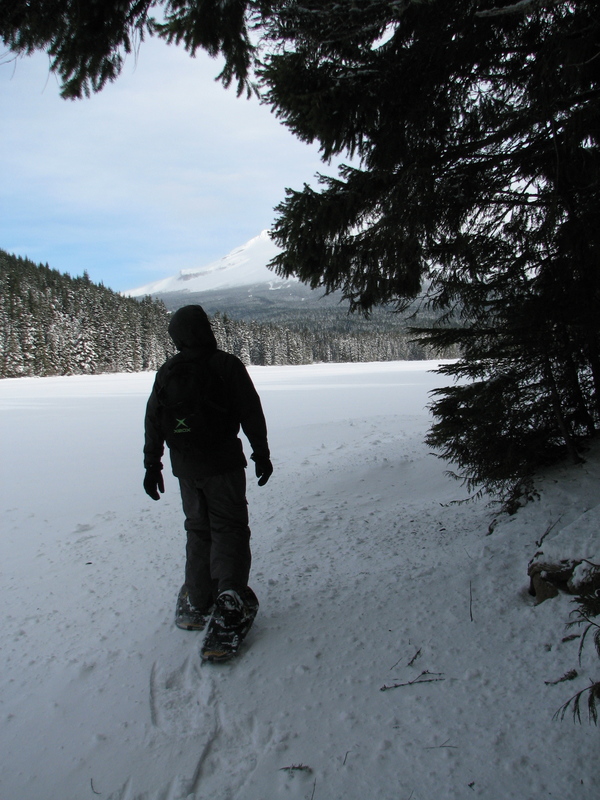 We decided to try Trillium Lake again. 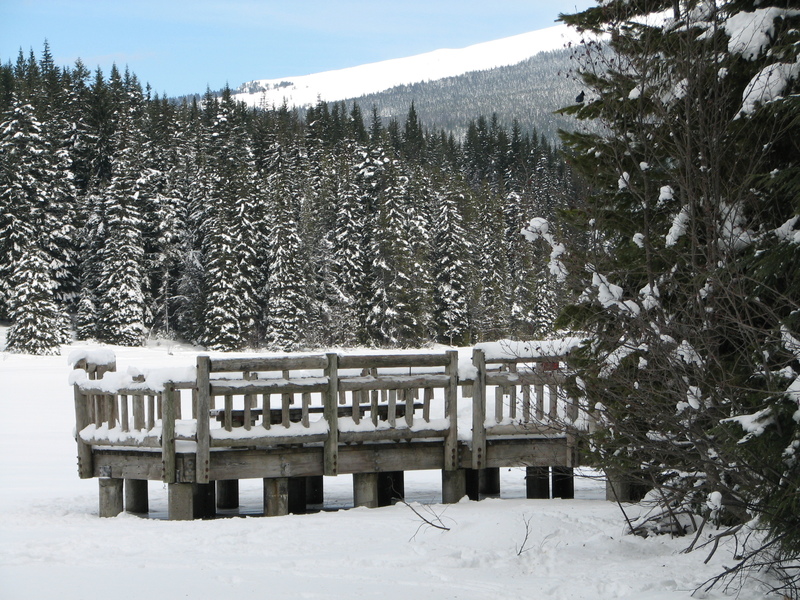 Michael and I had done it on New Year’s Eve and had a great time–despite the horrible shoe malfunctions and 10 degree weather–but we were disappointed we never made it to Trillium Lake. I spoke to a coworker that is a cross-country skiier and he said that we’d taken the wrong fork in the road. This time we took the left fork. Once we got out of the parking lot and into the trees the wind died down and the temperature wasn’t that bad. 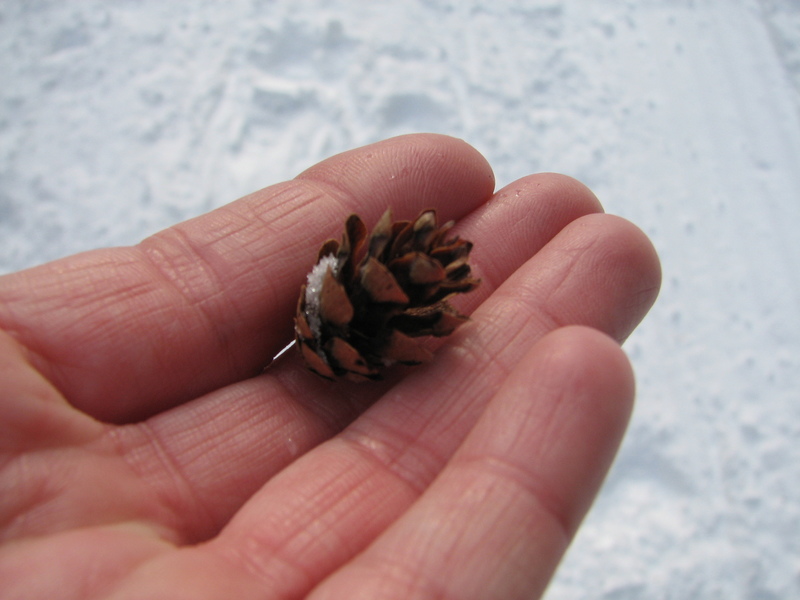 I often didn’t need to use my gloves–a nice change from the last time I snowshoed (the last few times to be honest). We trekked along. Norah fell asleep in her backpack. We stopped to take photos along the way and saw a few other people out there. We were all about the same pace and I was having a great time. I didn’t feel any discomfort in my legs or knee and was actually feeling pretty darn good for a change. The weather was perfect–about 40 degrees I think, sunny, clear skies and no rain. There were a few more hills this route. I wasn’t bothered by them and felt my heart rate increasing. I knew I’d be happy with the number of calories I was burning for the day. Michael was his usual goofball self (adorable) but I’m happy to report that his back wasn’t bothering him too much and he was able to snowshoe the whole time. It wasn’t until the very last part of the trek that his hip started to hurt. 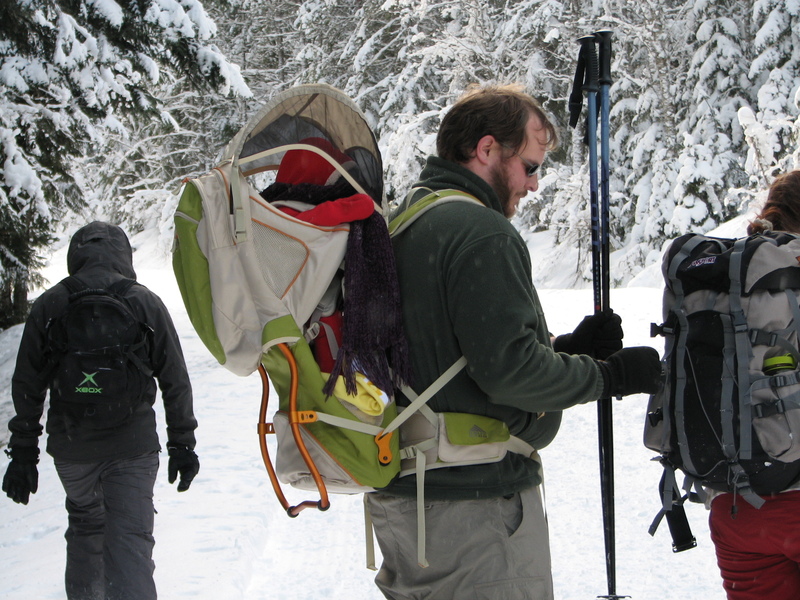 🙁 That is one thing about snowshoeing: you WILL feel your hips. 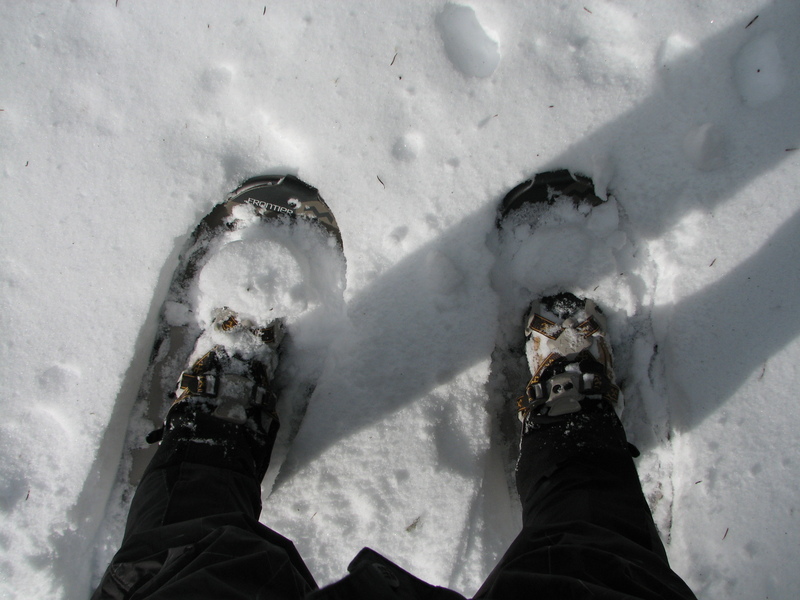 Because you walk with a wider stance than normal to accommodate the snowshoes it’s easy to feel some discomfort there. I realized that this may aggravate my IT Band so I take 1 Aleve right before I snowshoe and then right afterward. That helps a lot. 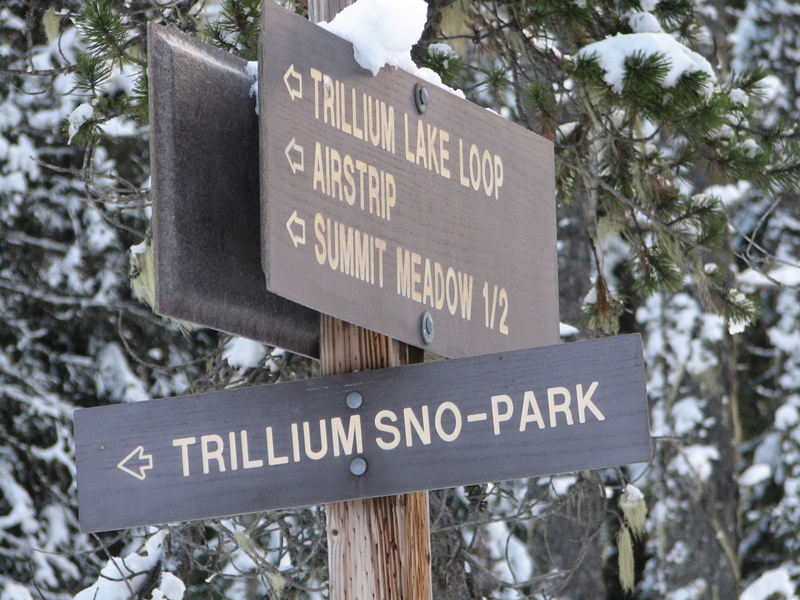 So we trekked up and down some hills, passed a few skiers, saw some fellow snowshoers and then arrived at Trillium Lake. It’s quite scenic in the summertime. Today it was frozen over, covered in snow and Mt. Hood was hidden by some clouds. Still scenic but not quite the same. Since we were in a clearing with no tree protection the bitter wind was back. 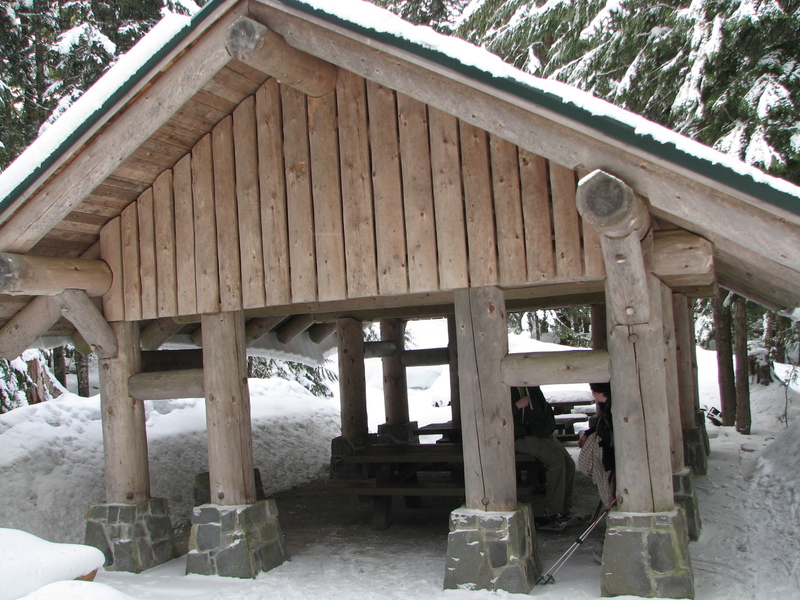 The five of us hiked around the edge of the frozen lake through some trees, over a snow covered bridge and then to a shelter where we stopped to rest and have some snacks. 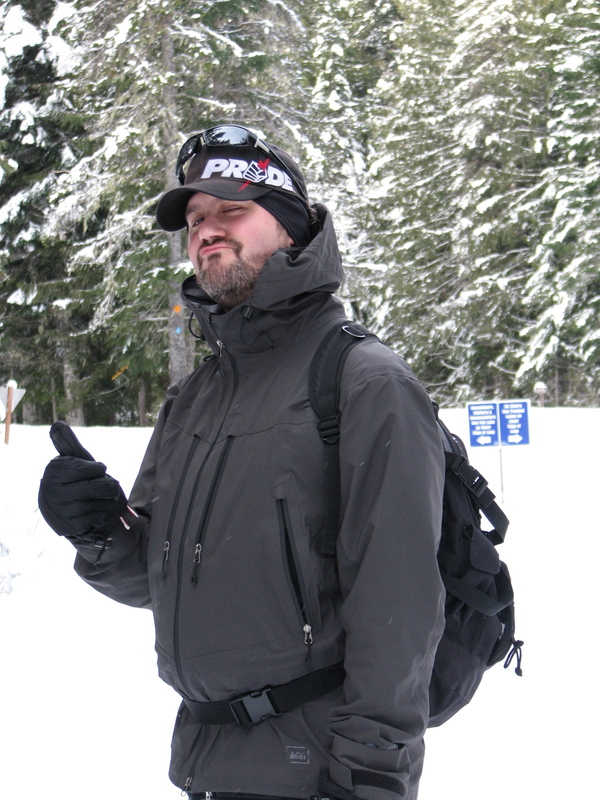 At this point we’d been snowshoeing for about 1.5 hours and I was nearing 560 calories burned. We rested for about 20 minutes, shared some trail mix, I drank some G2 and they fed the baby. 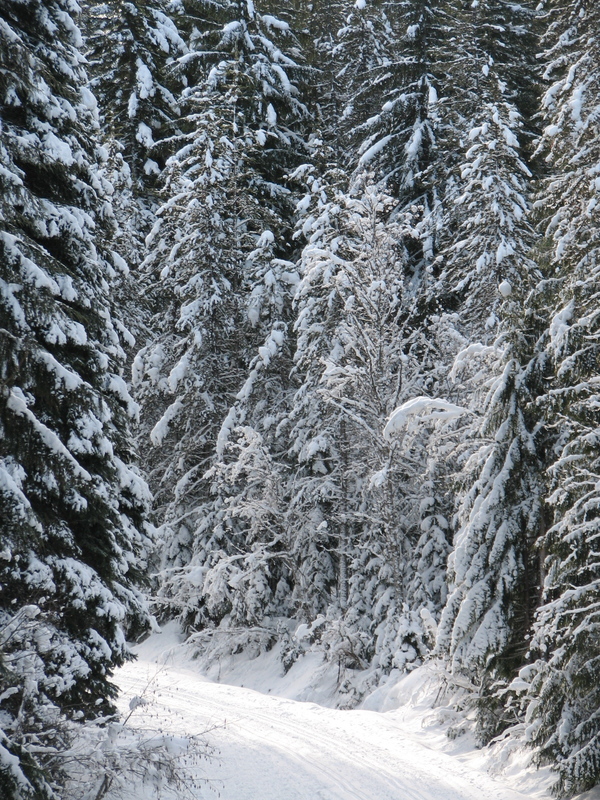 We were all getting cold so we hit the road and headed back through the trees toward the main road back. It felt like it was uphill the whole way back. No idea how that happened! 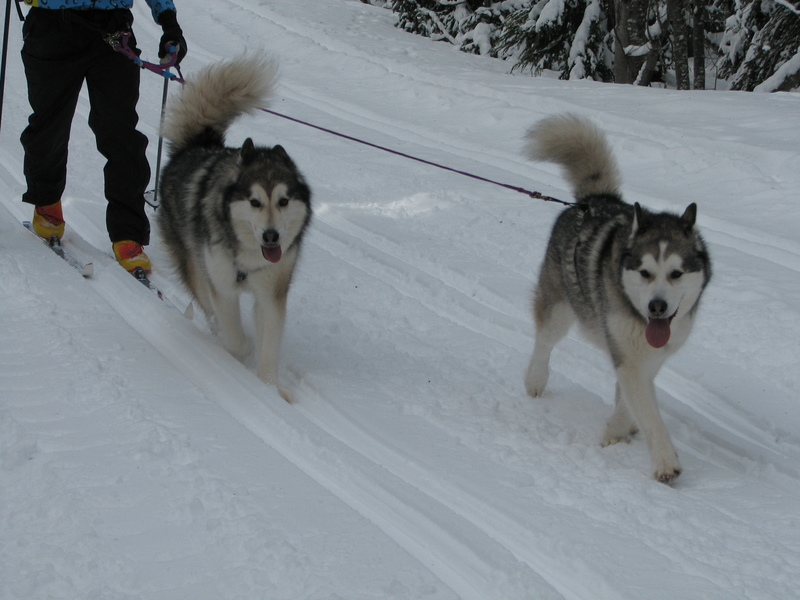 We passed by a cross-country skier with two gorgeous huskies. There were a lot of dogs out today. And they were having a blast playing in the snow! The last half mile or so was pretty much all UPHILL and I felt my energy dwindling. Michael’s hip was really hurting climbing that killer hill. We rested a lot, which is okay. It’s better to rest than to hurt! We made it back to the car, got out of our snow gear and settled in for lunch. Dave had the wise idea that we should bring packed lunches for afterward. I was suddenly famished. I devoured my turkey sandwich on Sandwich Thin bread, two pickles and then Kat kindly gave me the last few bites of her amazing baguette sandwich. It was such an awesome day! I had a blast. The weather was good. 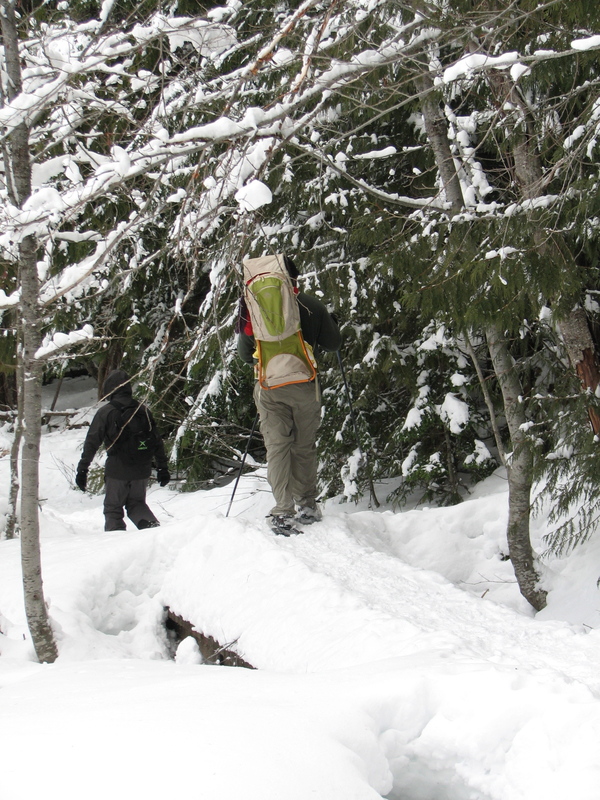 Our snowshoes were fantastic (so glad we bought them) and I got in a good and FUN workout. When Michael and I got home we immediately took a nap. It ruled. I’m glad we’re getting good use out of our shoes! QUESTION: How many calories did you burn today? Ha! Coincidentally, about 1100 also. 100 minutes on the elliptical (plus push-ups, plankds and yoga, not counted). Not nearly as fun as snowshoeing! I’m envious! That’s a nice workout! Great job. 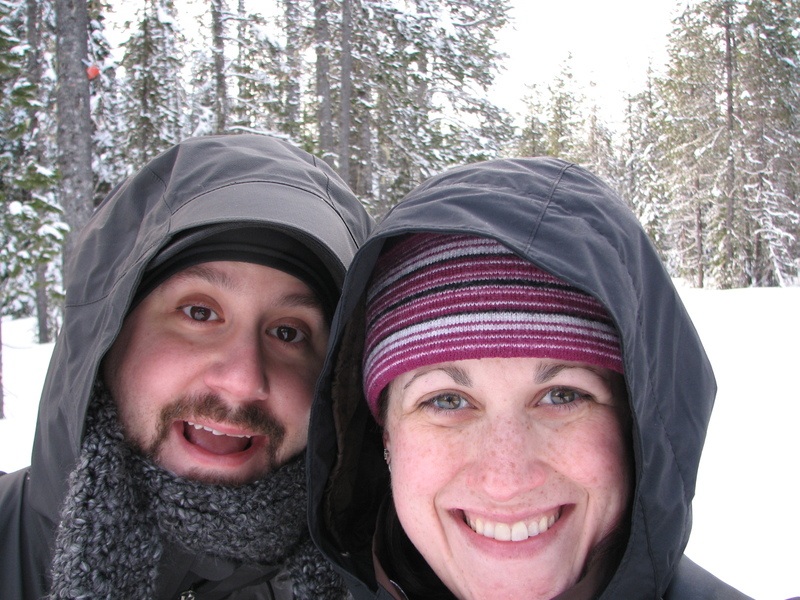 Josh and I need to go snowshoeing! 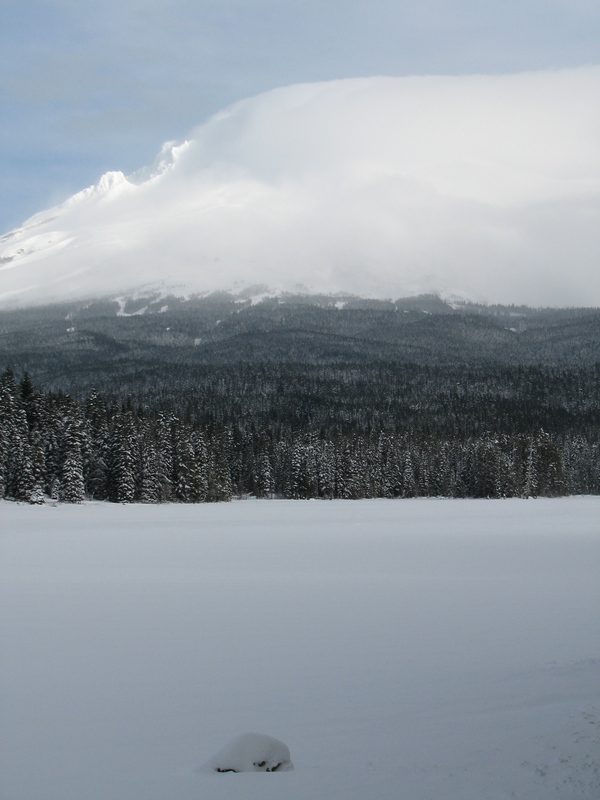 I’ve been an Oregonian for over 3 years, and I still have yet to go to Mt Hood in the snow! 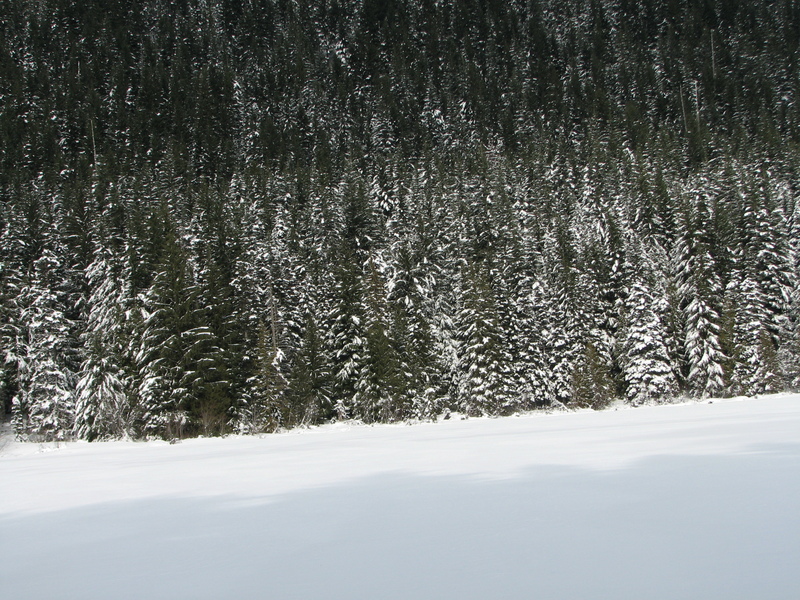 You would LOVE snowshoeing! It’s so much fun that you don’t notice that you’re getting a good workout. When Michael and I went to Hood River last summer for our anniversary we biked up that huge winding hill to get to the Historic Hwy Trail. Beautiful views! Lots of fun, definitely check it out tomorrow. I saw lots of runners there. gaaaaaahhh… why don’t we live CLOSER?!?!?! All our snow melted in Madison, WI, I have snow shoes, but can’t use them! Fail!! 🙂 Wow that trail looks amazing!! I’m jealous! That’s a lot of calories burned! If you ever vacation in Oregon I’ll show you around! 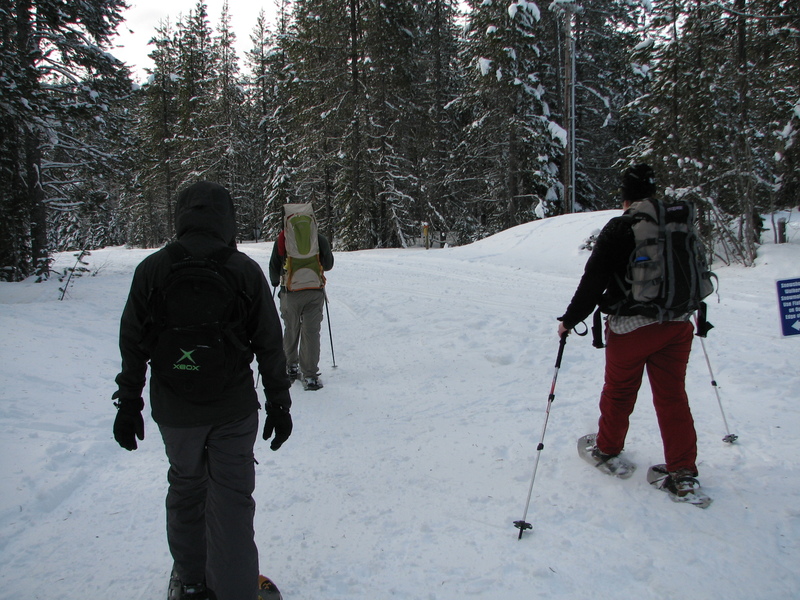 It was so fun snowshoeing. Just discovered your blog! What kind of heart rate monitor/watch do you use? Are you still using the one pictured above? It was a Polar Heart rate monitor. I Love it!! I still have the same one, just a different model.